A SELF-PUBLISHED Bromsgrove author who found international success with a post-apocalyptic book series set in the Midlands has returned with a new dystopian book series. Devon C Ford, whose ‘After it Happened’ series sold more than 200,000 copies and became a number one bestseller in the UK, USA and Australia, has released the first installment of his multi-author ‘Burning Skies’ series. Featuring bestselling authors Jacqueline Druga and PA Glaspy, ‘The Fall’ follows Cal as he finds himself in the middle of a domestic terror attack in New York. No ordinary terror attack, The Movement, in a misguided attempt to seize political control of the USA, unwittingly invites the destruction of their homeland, and as the bombs start to fall, the shock and loss of life reverberates around the world. Cal, along with a small group he met in NYC, desperately flees inland away from the targeted coastal cities, but chaos follows them around every corner. 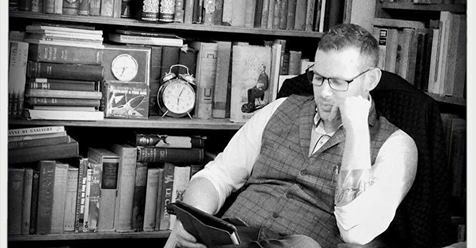 After self-publishing his first book ‘Survival’ and the first installment of the ‘After it Happened’ series with Amazon, the 35-year-old went on to reach the worldwide top ten, despite having no experience. The former police and prison officer then landed a publishing deal with Vulpine Books. ‘The Fall’ is available to purchase on Amazon now. Visit www.vulpine-press.com or www.devoncford.com for more information.